Our performance appraisal consultancy service is there to provide you with guidance and advice. We work with you to develop the best solution for your organisation as well as provide expert knowledge on performance appraisal review processes and software. Whether you’re looking for a completely different approach to performance review, a revamp of your current process or the implementation of a 360 degree review, we can provide expert advice. We develop paper-based systems and we can source suitable software for automated performance reviews. We work with small businesses as well as multi-national organisations across all sectors. No two companies are the same when it comes to performance reviews. Our aim is to provide bespoke advice on the review process that best suits your specific performance management aims and the culture of your business. If you’re looking for a brand new performance review process, we’ll discuss what you want to achieve from it and advise on the best options. Depending on your requirements and organisational culture. If you’re already using a performance review process, we’ll need to familiarise ourselves with it. Knowing what you want to achieve from the process will help too. We’ll discuss what you’re happy with and what you’d like to improve. Then we can advise on the best way forward. Designing and introducing a new appraisal process. Advising on the addition of behavioural competencies to enhance a performance review process. Facilitation of sessions with senior executives to discuss and formulate strategic objectives. Creating a bespoke on-line solution based on the organisation’s current appraisal forms and process. Sourcing and introducing a suitable online appraisal system. Introducing the concept of social performance management. 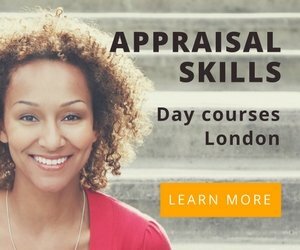 Creating and delivering an engaging performance appraisal training course for managers. Developing and introducing a 360 degree feedback questionnaire. Advising on and introducing a rating scale as part of an existing appraisal process. Advising on a technology solution designed to provide a platform for collaborative working. Linking performance appraisals to remuneration (salary increase and bonus reward). Creating a work culture where continuous performance improvement and on-going coaching is the norm. Briefing staff company-wide on how to maximise the benefits of their performance review process. Coaching managers to ensure performance management is embraced as a shared, open and transparent activity. Enhancing the objective setting element of an existing appraisal process and linking this to corporate objectives. We understand that performance reviews sometimes don’t receive the priority and importance they deserve. A common aim across all our consultancy work is to ensure performance management is a continuous, developmental process, not just a tick box, one-off event each year.